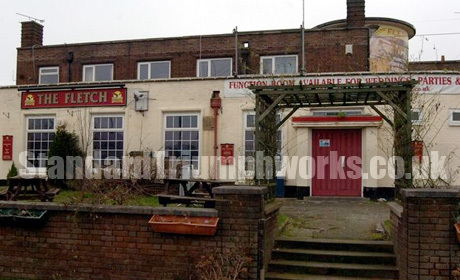 Located on the Fletchamstead Highway, The Fletch was immediately opposite the main Fletch South/North buildings. 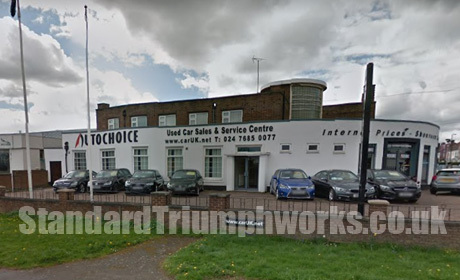 The building still stands today (2017) albeit as an Auto Choice car dealership site. There are plans to demolish it and replace with a new 222 bedroom student accommodation block. The car dealership has stood since 2009, but prior to that, the site was home to an art deco pub called The Fletch. Named after the historical Fletchamstead Hall, the pub opened in 1937, and had eye-catching glasswork and a distinctive art deco style. In later years the back room turned into a music venue, before the pub finally closed in 2008. The name is actually a local place name, from Fletchamstead Hall. The pub opened in 1937 in an art deco style. The lounge bar had an art deco construction of glass and chrome that really was a sight to see. It was still there when the pub closed in 2010. It had waitress service in the large back room. The landlady in World War Two, a Mrs Shaw, used to auction legs of pork and tins of Spam to help the war effort. 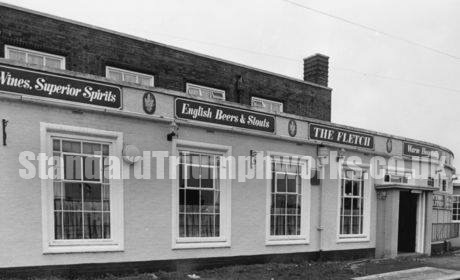 The name changed to The Fletch in 1964. By 1983 the large back room now hosted live music as a function room. Next PostNext Recognise These Faces?